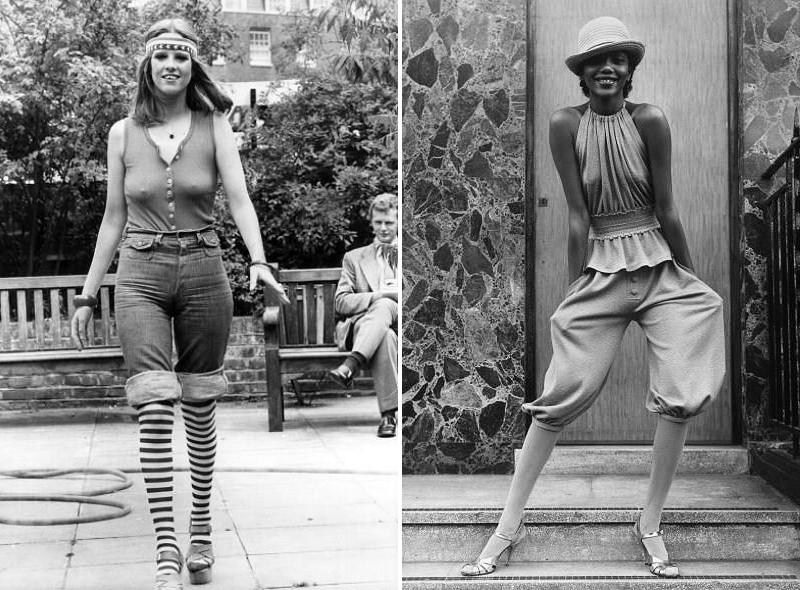 The 1960s was the era of rising hemlines and the mini skirts. Up until the 1960s hemlines were at an acceptable knee height with the introduction of the 60s hemlines grew shorter this created controversy when they first appeared exposing a lot more skin than bargained for. 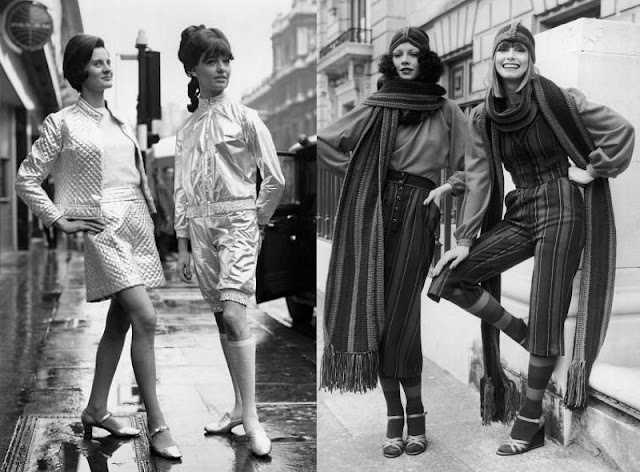 The mod fashion was another fashion trend of the 1960s this being modern fashion, referring to a youth lifestyle that emerged from London during the 1960s and became quickly popular. 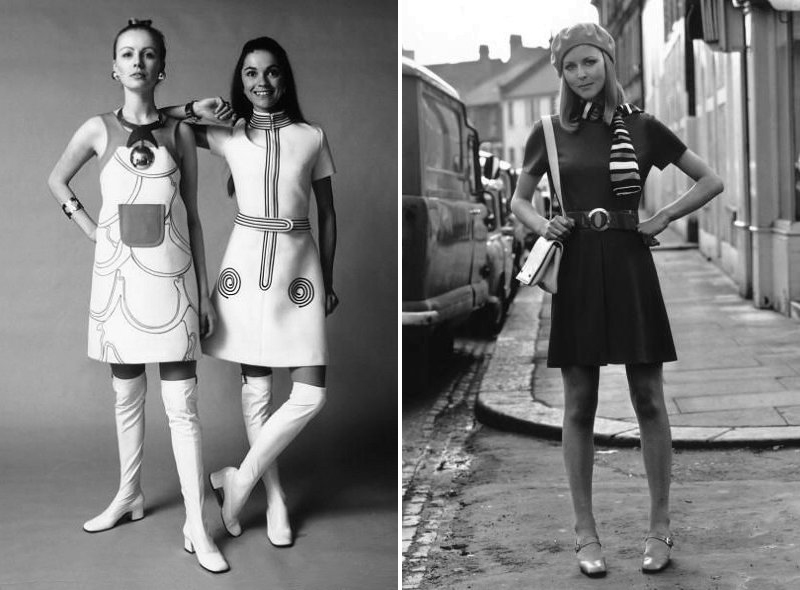 This mod fashion was slim fitting and featured geometric bold shapes and colours, which was a bit of a shock since the 50s consisted of dark black, brown and grey fashion. Ladies welcome to the 1970s the year where bras and corsets were seen as symbols of oppression and conformity and many women decided against the bra (wouldn’t that be nice). 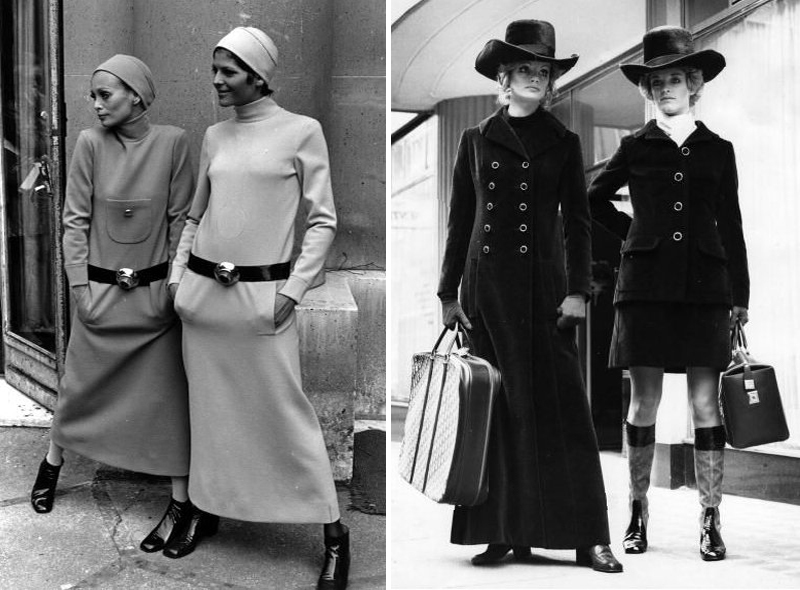 The year of women not feeling over powered by men, so much that they started to wear their clothing including baggy trousers, mens jackets, vests and oversized shirts.